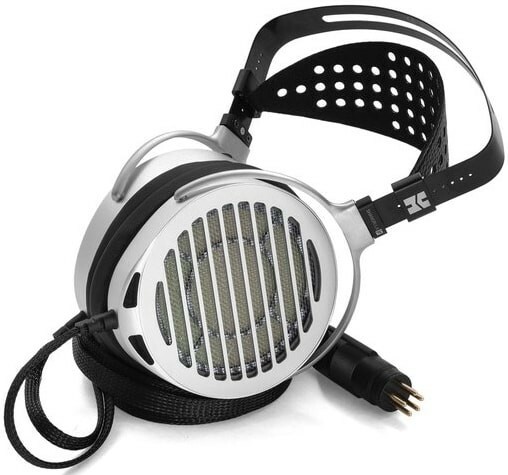 Electrostatic headphones with an unprecedented performance to value ratio. Matching headphone amplifier also available here. Earn 3599 loyalty points when you order this item. 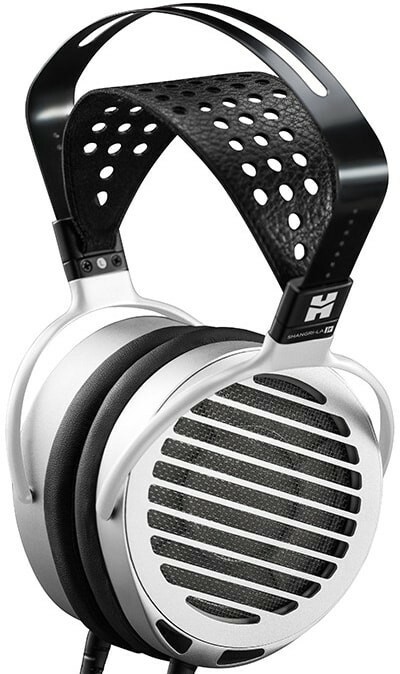 HiFiMan Shangri-La Jr has an unprecedented performance to value ratio and features a nano-tech driver less than 0.001mm. It couples near zero distortion with a lightning-fast response and the Nano-particle coated diaphragm provides an extremely high-frequency response. 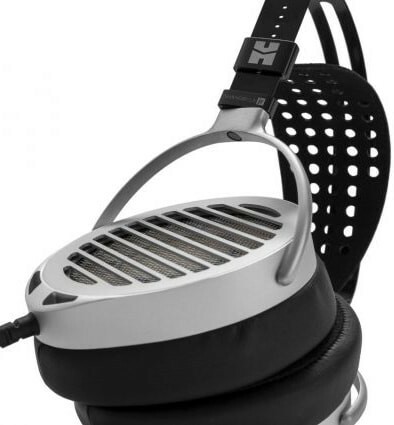 The headphone is meticulously crafted and quality-checked by hand. With its unique design, exceptional function and exquisite craftsmanship, the Shangri-La Jr is a total luxury item that redefines the audio landscape. Enjoy excellent ergonomic comfort and remarkable sound quality thanks to the headband design which features a steady arch structure, a universal design with improved reliability and durability. Mesh metal stators working close to the ultra-fine diaphragm offers superior openness and minimises distortion. 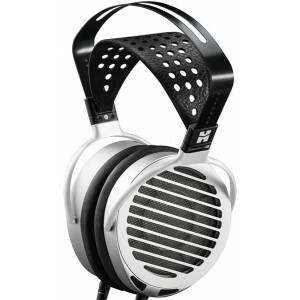 The frames incorporate special alloys to ensure sonic stability and to reduce distortion. The width of the mesh grating is only 50um so that sound waves below a million Hertz can pass through making it acoustically transparent. Constructed from the finest matched 6SN7N Vacuum Tubes currently on the market. Tubes are the essence of the Shangri-La Jr's amplifier work so close to the output offering a warm and immersive sonic quality the finest Tube amplifiers are known for. The headphone amplifier pictured is not provided with this product but can be purchased separately here.